This 45 min introductory program is designed for children with an uncontrollable urge to discover. Movement patterns are emphasized – bouncing, swinging, rolling, balancing, and just old fashioned fun! Every child receives a certificate or ribbon upon completing the session. A parent or guardian is required to assist the child in this class. Refunds: After payment is completed – only 50% Refunds will be given if the registrar is notified before the third class. No refunds after the third class unless a medical note is provided (fees will be prorated from the date the note is received). Ages 3 1/2 – 5 yrs. This 1 hour class, will help children learn the fundamentals of gymnastics movements. 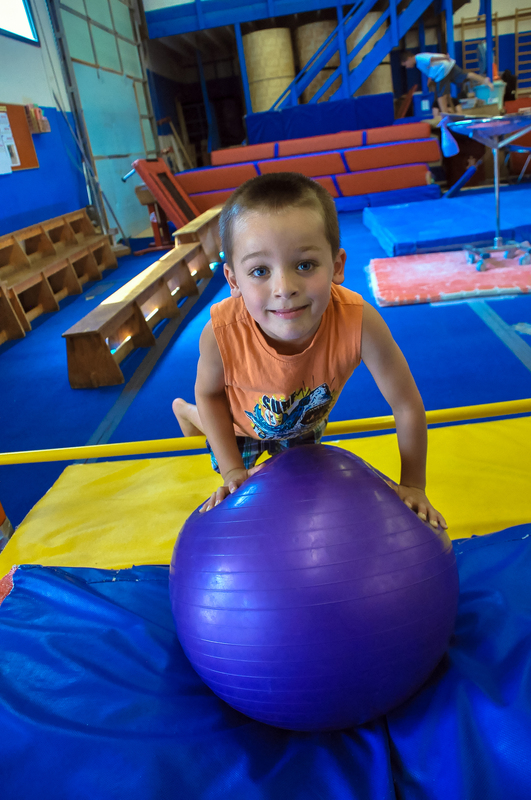 Gymnastics skills are for general gross motor development, coordination and lots of fun! This is a class with no parent participation. Call or email us to register. Join us on Monday, Tuesday, Thursday and Friday mornings from 11:30 – 12:30pm for unstructured play time with your preschooler. 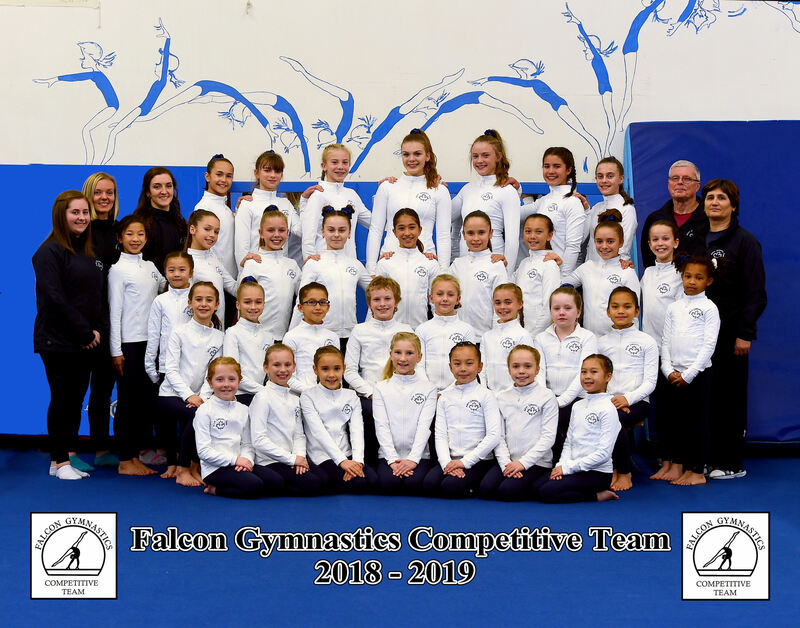 An opportunity to play and learn what Falcon Gymnastics has to offer. Please note: Parents or guardian must supervise their child at all times during the drop in and it is not a structured class, meaning the instructor is only on the floor to supervise. Our recreational gymnastics program runs on a semester system. Our first semester takes place from September and continues until the end of January 2019. The second semester is from February 2019 to end of June 2019. Recreational classes are 1.25 hours long per week for girls and boys ages 5 1/2 and up. Call or email us to register. After payment is completed – only 50% Refunds will be given if the registrar is notified before the third class. No refunds after the third class unless a medical note is provided (fees will be prorated from the date the note is received). A 2 hrs. per week class. Students are required to have a minimum of 5 CanGym ribbons for these classes. More advanced skills are introduced and students will receive a ribbon of the level that they completed. Interclub is an introductory level of a beginner competition level. It is aimed at the child who would like to excel, but with minimum amount of hours. This program lets you go to recreational events to perform routines and earn awards based on their efforts. Gymnasts in this program will train 2 days a week, 3 hours each day (Mon/Wed or Tue/Thur) . Min two classes per week is a must. Refunds: One month’s written notice is required when leaving the program or reducing the number of training hours. *If notice is given mid-month fees for the following month will be charged (i.e. if you inform the office mid October, Nov fees will be charged). All remaining post-dated cheques will be returned. Pre-competitive gymnastics is offered for children 5 and up with at least 1-2 years of gymnastics experiences. Junior Olympic Level 2A will practice 2x per week 1.5 hours each time Sept – June 2019. Junior Olympic Level 2B will practice 2x per week 2.5 hours each time.